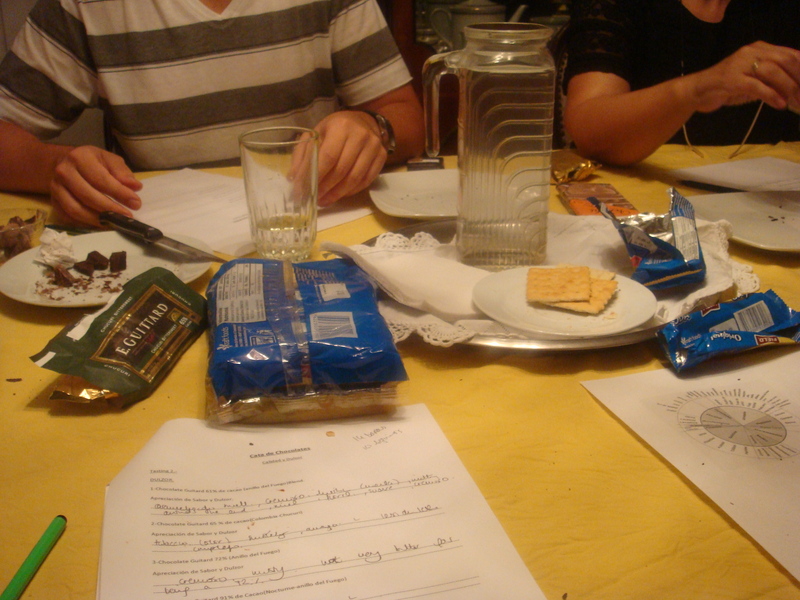 It seems that Friday nights are dedicated to chocolate tasting sessions! 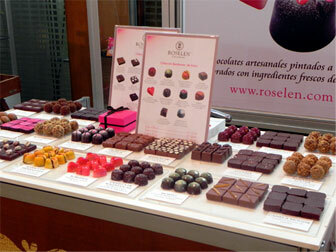 This time we head to one of Lima’s finest chocolatiers, “Roselen”. Roselen is a family run business, run by Giorgio Demarini and his mother Elena Basagoitia, who are both chocolatiers. 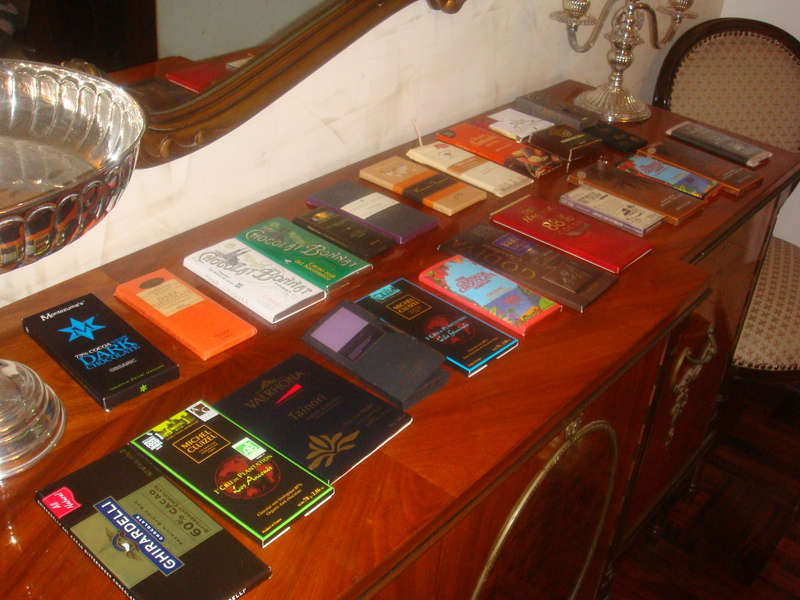 We taste a wide selection of dark chocolates, all from different origins and of cacao percentages. 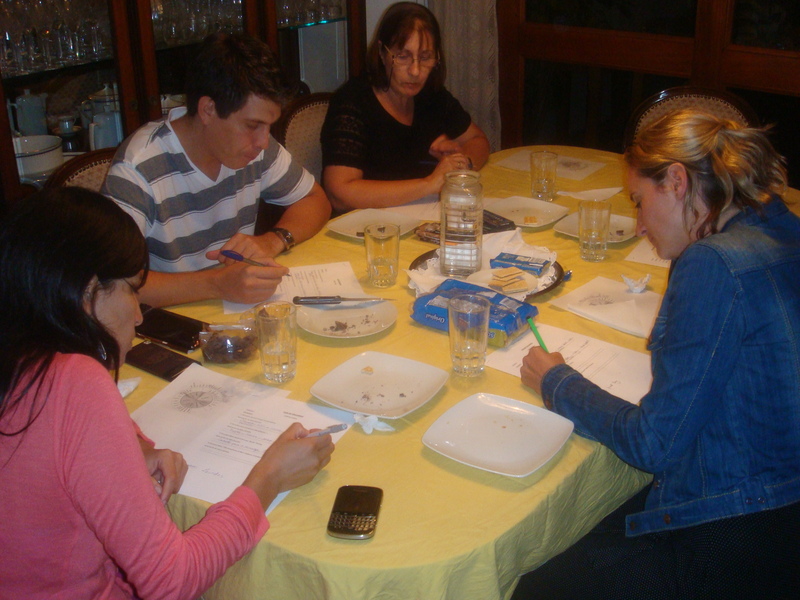 Giorgio and Elena teach me how to discern the different flavours in fine chocolate. Little by little with practice, I begin to recognise the different flavours and influences of each of the chocolate bars. A warm glass of water and a salted soya cracker to help refresh the palate in between each chocolate tasting. I am intrigued to discover how the taste and quality of the chocolate is greatly influenced by two main factors: the fermentation process of the cacao bean during the post harvest process and the toasting of the bean at the factory. The conditions in which the bean is fermented directly influences the natural flavours found in the cacao bean. I also notice that in some of the chocolates that we taste, it is difficult to distinguish the natural flavours of the cacao bean, this is mainly due to the toasting process, where the bean is likely to have been overtoasted. 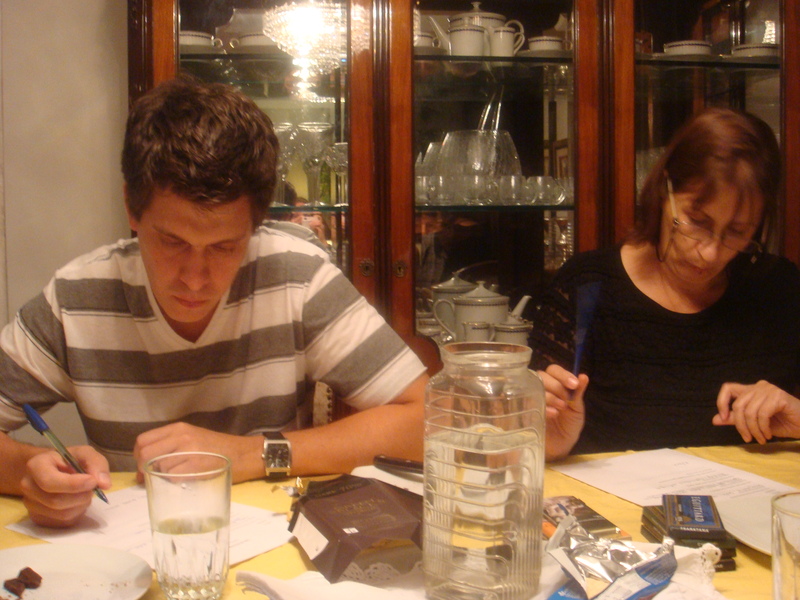 Giorgio and Elena concentrating hard as they taste the chocolates. can you send me some chocolates please! !